LA artist and creator of Dinotopia James Gurney recently posted about LA's hazy light on his blog. 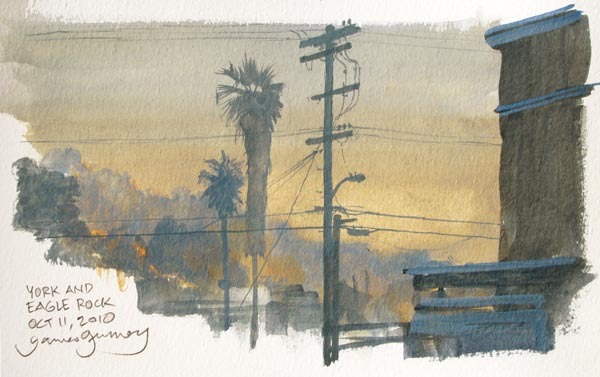 He included this watercolor illustration that he did while sitting outside on the corner of York and Eagle Rock Blvds. Great shoutout to my hood! I do love LA's hazy light. And I think one of the best spots to experience it is in Eagle Rock, driving on the 134 and looking towards downtown (just make sure you're in the passenger's seat).